Indonesian politics in the past year was dominated by one major dynamic: manoeuvring and positioning in preparation for impending elections. In April 2019, Indonesia will hold its fifth national elections since the country initiated the transition to democracy in 1998. 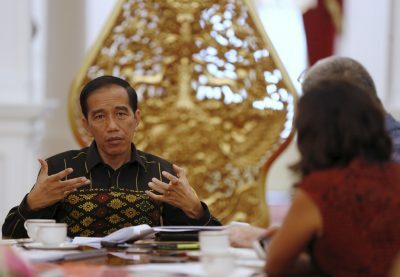 President Joko Widodo (Jokowi) will stand for re-election, alongside thousands of members of the national, provincial and district legislatures. Throughout much of 2018, political observers focused on developments like the negotiations leading to the registration of presidential and vice-presidential candidates in August, as well as what a round of local elections in June portends for the coming competition. Jokowi is presently running as the heavy favourite. He has a formidable coalition of national parties behind him, he is ahead in public opinion polls and the economy is performing reasonably well. But his competitor, the authoritarian-populist former general, Prabowo Subianto, was a strong finisher in 2014 when he only narrowly lost to Jokowi. The election is still not a sure thing for the governing coalition. Beneath the surface of the electoral story, two deeper trends continue to reshape Indonesian politics. The first is the increasing Islamisation of public life and related social polarisation between pluralists and Islamists. The second is a slow-moving but perceptible drift toward increasingly authoritarian measures — a trend that might be putting Indonesia’s democratic achievement at risk. Both developments came together on 2 December 2018, when hundreds of thousands of people, most dressed in white, attended a mass Islamic rally and prayer meeting in Jakarta. Held to commemorate an even larger demonstration two years earlier that pushed for the jailing of then Jakarta governor Basuki (Ahok) Tjahaja Purnama on blasphemy charges, the rally is but the latest in a series of shows of force by Islamist groups over recent years. The Islamist coalition that organised the rally includes many of the most extreme and intolerant groups in Indonesia and is a significant force behind Prabowo. He addressed the rally, with the leaders of the main parties supporting his presidential campaign also present. Ever since Ahok was removed from office, a major preoccupation for Jokowi and his key backers has been countering the threat of this coalition — which unites Islamist social power with elite political actors — by way of a two-track strategy. In the first track, Jokowi is reaching out to Islamic political forces in an effort to neutralise the threat that they pose to his re-election chances, and to counter rumours and hoaxes spread through social media that he is secretly communist, Christian or Chinese — or all three. In particular, he is showering attention on the mass-based traditionalist Islamic organisation Nahdlatul Ulama. His choice of the leading traditionalist ulama Ma’ruf Amin as his running mate in August was partly motivated by this strategy. But the appointment of Ma’ruf also shows the dangers of co-optation amid growing social polarisation. Over the past decade and a half, Ma’ruf has been one of the major voices promoting conservative, anti-liberal interpretations of Islam in Indonesian public life. His nomination as vice-president disappointed many of Jokowi’s pluralist supporters and is doing little to help his re-election chances. In the second track, the government is increasingly turning to authoritarian measures to shore up its support and stymie its opponents. These measures include strengthening the law to ban social organisations and outlawing the Islamist organisation Hizb ut-Tahrir. As a movement that aims for the establishment of a universal Islamic caliphate, Hizb ut-Tahrir is vulnerable to accusations of anti-nationalism despite being no more radical in other respects than many of the Islamist groups that are part of Prabowo’s coalition. Meanwhile, police are hampering the activities of some opposition groups, and government leaders including Jokowi have signalled that they are open to increasing military re-engagement in aspects of social and political life. This strategy has been called ‘fighting illiberalism with illiberalism’. There is debate about how best to interpret Indonesia’s ‘authoritarian turn’. Part of the debate revolves around the extent of the regression. In many respects, Indonesia remains a vigorous multi-party democracy. There has not yet been any fatal blow to Indonesian democracy. Another aspect of the debate is about the forces driving this turn — are they temporary political exigencies or deeper processes of social and political change? Though the shift is a slow process, it is steady and its direction is indisputable. This is why the 2019 elections take on added significance. Indonesia is faced with a choice between an out-and-out strongman candidate — an Indonesian Bolsonaro — and an incumbent whose democratic commitment looks to be fraying. The waves of the global democratic recession are washing on Indonesian shores. Edward Aspinall is Professor of Politics at the Department of Social Change, Coral Bell School of Asia Pacific Affairs, The Australian National University. 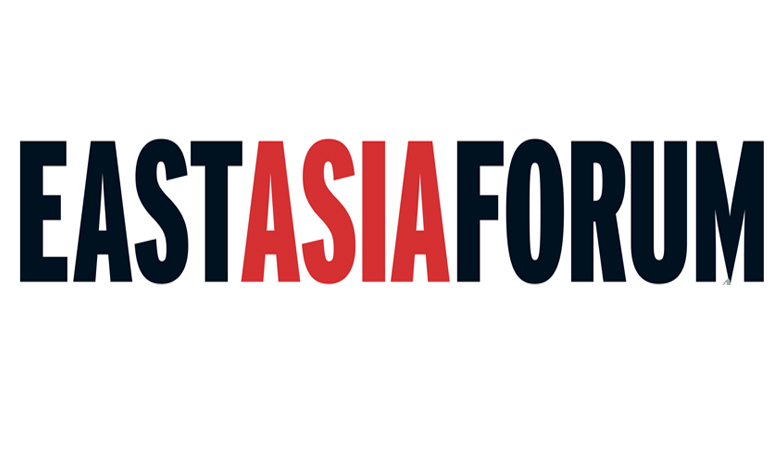 This article was first published by the East Asia Forum on 6 January 2019. This article was republished with permission.